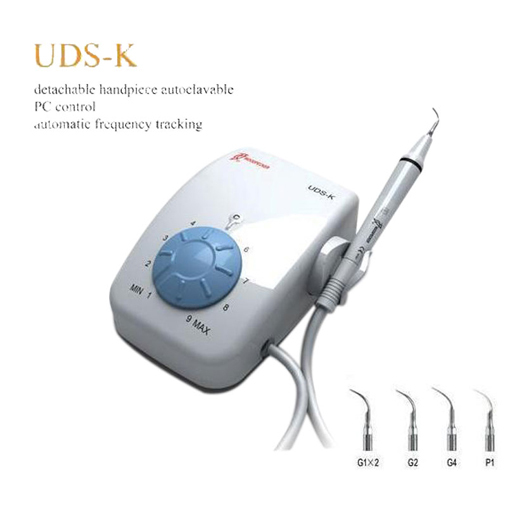 The UDS-K ultrasonic piezo scaler the handpiece is cast from titanium alloy with excellent mechanic function and uneasy to break. (Titanium alloy is the best material for the inside of handpiece, but it is very hard to process, we are the first one who begin to use this material in China). 1.The handpiece is cast from titanium alloy to ensure sound mechanic function and durability. 2.Assembling with excellent piezo-ceramic, the handpiece have high and long lasting power and generate little heat. 3.Detachable handpiece can be autoclaved under the high temperature of 135°C and pressure of 0.22Mpa avoiding cross-infection effectively. 4.The material of handpiece made in America is appointed material of aero plastic components in Europe and America, which is FDA and NSF certificated. 6.Five pieces scaling tips attached, 2 piece of G1#, 1 piece of G2#, 1 piece of G4# and 1 piece of P1#. 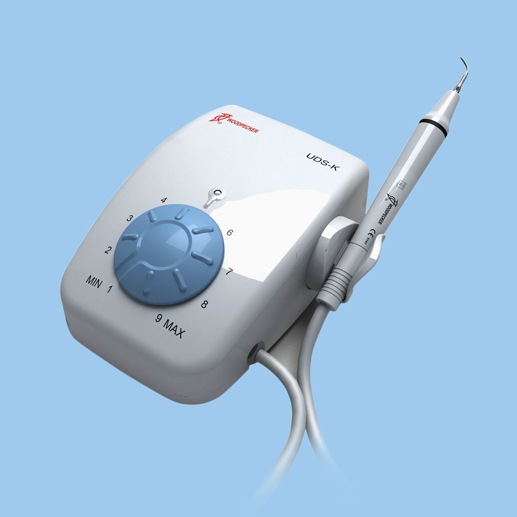 7.Woodpecker dental ultrasonic piezo scaler is made of special material. The cavitations produced from the end of the scaling tip makes the cleaning of teeth and the killing of germ easy. 8.Automatic frequency tracking ensures that the machine always works on the best frequency. 9.Isolate static avoids the uncomfortable feeling while cleaning the teeth. 10.Built-out power supply makes working become much more steady and dependable. 11.The adjustment range of the amplitude is much wider than before. 12.To eliminate the dental calculus, bacterial plaque, and tea scales on the teeth quickly without hurting the gum and the enamel. 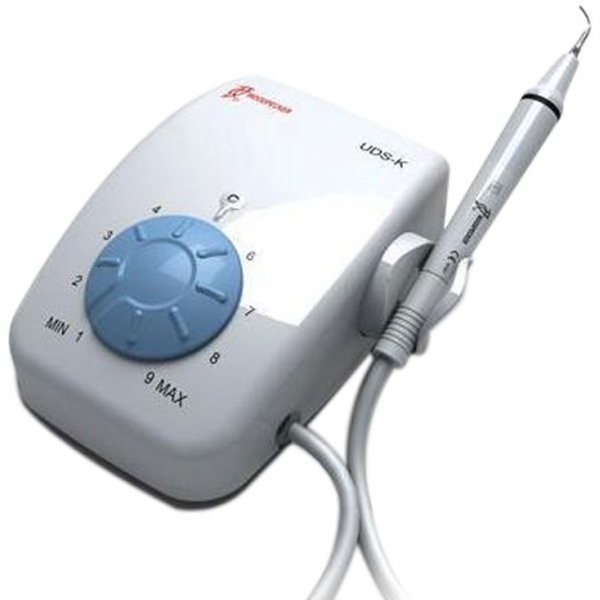 13.Woodpecker dental electric scaler are small and light designed easy operation. 14.Reasonable price and lifetime maintenances.